Try this valentine's day easy, exceedingly delicious, eggless vanilla cake, with all the easily available ingredients in your kitchen pantry. 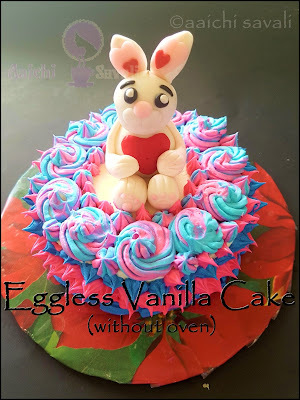 This is eggless, tastiest homemade vanilla cake, I had tried it many times and every time it came out very well. It has a soft and spongy texture. This elegant vanilla cake decorated with buttercream frosting, which is perfect for any celebration. Preparation Time : 15 Minutes ; Baking Time : 45 Minutes. Prepare cake tin by cutting parchment paper for it and grease it with butter. 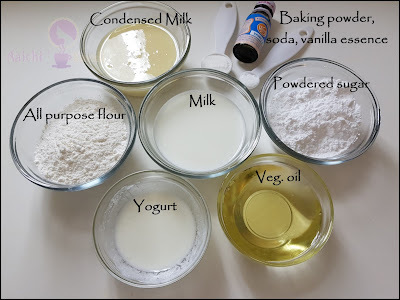 In a bowl add condensed milk, oil, yogurt and powdered sugar mix or whisk all well. 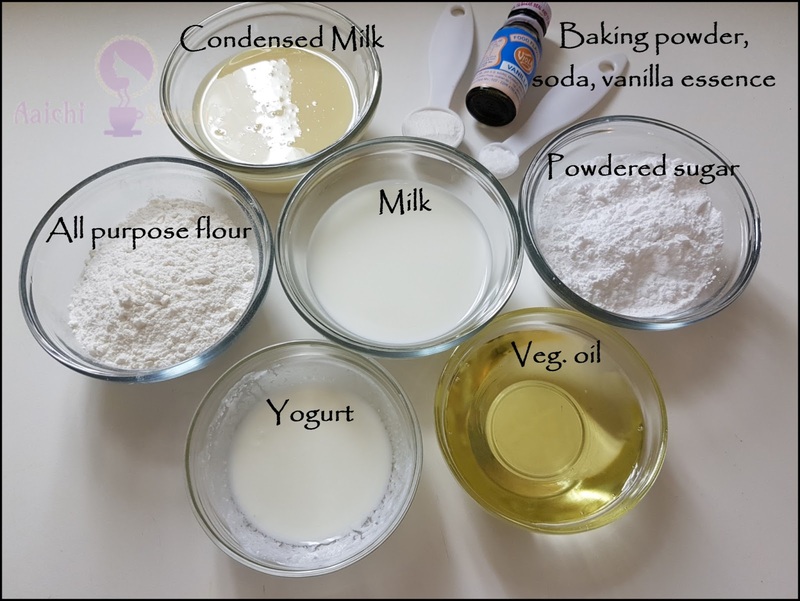 Now to the bowl add all purpose flour, baking powder and baking soda, and half of milk and mix gradually. Add remaining milk, vanilla extract and whisk all very well, there should not be any lump. evenly, tap two to three time to get rid of air bubbles. 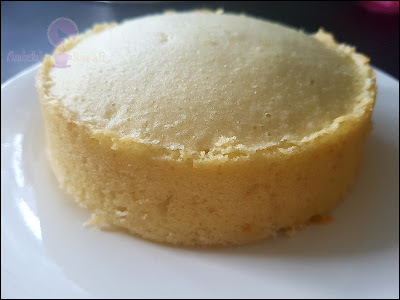 Place the cake tin inside the preheated pan, cover and cook it in low flame for 45 to 50 minutes or until toothpick inserted in the center comes out clean. Tadaa, cake is ready, let it cool completely before frosting. 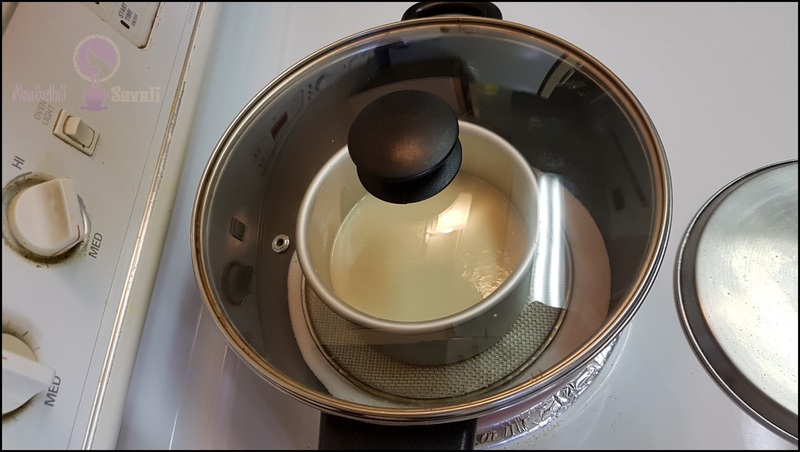 In a small bowl take 2 tbsp hot water and add 3 tsp sugar and stir until dissolve the sugar. Divide the cake into two layer and brush some sugar syrup. fluffy. 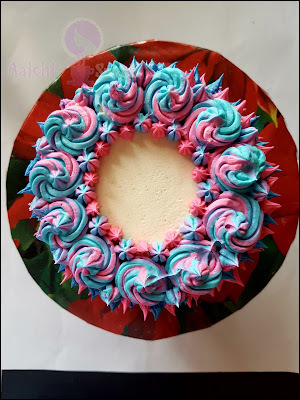 Frost top of cake with frosting. 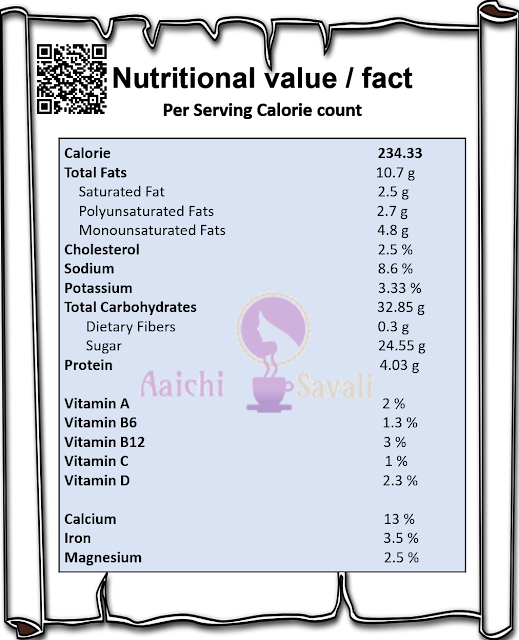 Per serving contains 234.33 calories, along with carbohydrates - 32.85 g, fats - 10.7 g, proteins - 4.03 g.
It's good to eat vanilla cake as a dessert.